Newcastle Upon Tyne known as Newcastle, is the most populated city in the North East of England. Along with its smaller neighbour Gateshead on the opposite side of the River Tyne, Newcastle is emerging as one of the fastest growing- and arguably one of the friendliest- cities in the UK . The city is one of the most vibrant, cultural and artistic destinations in Europe and one of the driest cities in the UK. According to the ONS in 2015 the city of Newcastle had a population of 293,000. Newcastle has its own Chinatown, which lies in the north-west of Grainger Town. The historic heart of Newcastle is the Grainger Town area. Some of Newcastle upon Tyne's finest buildings and streets lie within this area of the city centre including Grainger Market- popular indoor market, Theatre Royal, Grey Street, Grainger Street and Clayton Street. The Tyne Gorge, between Newcastle on the north bank and Gateshead—a separate town and borough—on the south bank, is known for a series of dramatic bridges, including the Tyne Bridge. An innovative tilting bridge, the Gateshead Millennium Bridge (below) was commissioned by Gateshead Council and has integrated the older Newcastle Quayside more closely with major cultural developments in Gateshead. Newcastle is a rather compact city centre which also spells bad news for people commuting by car in the morning rush-hour. However, Newcastle’s public transport network is highly efficient. Tyne and Wear Metro connects the city centre at with Gateshead, Sunderland, the coast, Newcastle Airport and the railway station. There are 16 secondary schools in Newcastle. The top three highest rated schools are Royal Grammar School, Central Newcastle High School & Newcastle-upon-Tyne Church High School. In terms of primary schools there are vast numbers in every area so you will be spoilt for choice. Find schools near you on Newcastle City Council website. Immediately to the northwest of the city centre is Leazes Park. Just outside one corner of this is St James' Park, the stadium home of Newcastle United F.C. which dominates the view of the city from all directions. Another green space in Newcastle is the Town Moor, lying immediately north of the city centre. It is larger than London's famous Hyde Park and Hampstead Heath put together. 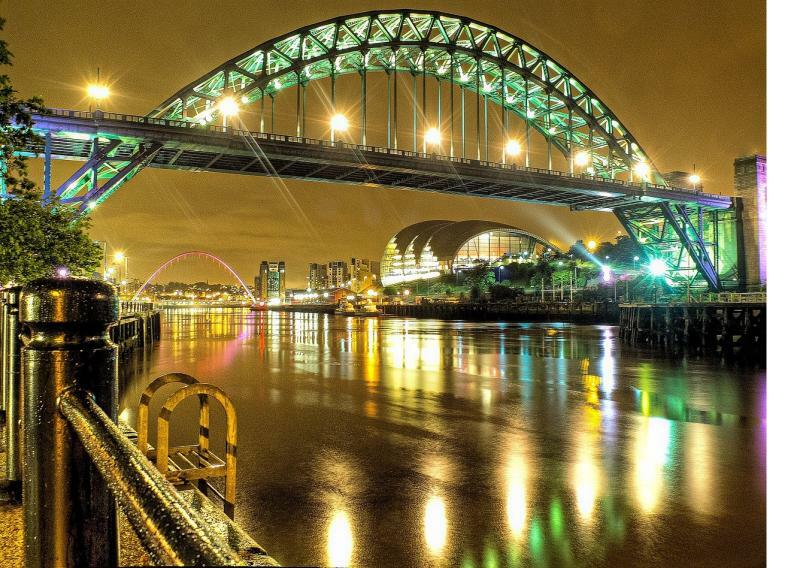 The Newcastle and Gateshead Quaysides are a thriving, cosmopolitan area with bars, restaurants and public spaces. The city has a wide variety of restaurants such as Italian, Indian, Persian, Japanese, Greek, Mexican, Spanish, American, Polish, Malaysian, French, Mongolian, Moroccan, Thai, Vietnamese and Lebanese. Newcastle is one of 7 cities in the UK that has a Chinese village with many Chinese restaurants on Stowell Street. There are several major shopping areas in Newcastle City Centre. The largest of these is the Eldon Square Shopping Centre, one of the largest city centre shopping complexes in the UK. The main shopping street in the city is Northumberland Street. Newcastle was in the top ten of the country's top night spots and The Rough Guide to Britain placed Newcastle upon Tyne's nightlife as Great Britain's no. 1 tourist attraction. There are concentrations of pubs, bars and nightclubs around the Bigg Market and the Quayside area of the city centre. Other popular areas for nightlife are Collingwood Street, popularly referred to as the 'Diamond Strip' due to its concentration of high-end bars, Neville Street, the Central Station area and Osborne Road in the Jesmond area of the city. Newcastle's gay scene – 'The Pink Triangle' – is centred on the Times Square area near the Centre for Life and has a range of bars, cafés and clubs. The Newcastle Beer Festival, organised by CAMRA, takes place in April. Search for social housing properties available immediately via Homefinder UK in Newcastle here.